Year end European Grundtvig program that would have allowed a twenty professionals, artists, elected officials, craftsmen, volunteers and others around the CAN, having visited other European initiatives since rurality also promote development through production / artistic and cultural diffusion. 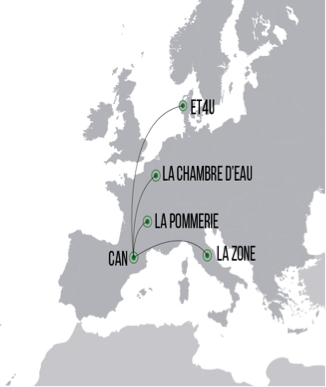 So far the project has enabled the centers visited: ET4U of vember (Jutland, Denmark), The Pommerie / Appelboom Saint-Sétiers (Limousin, France); Crossing Cultural and Z.oneMagione (Umbria, Italy); The next May will be the last visit to La Chambre d'Eau Le Favril (Nord, France). CAN was the first center that hosted this round of meetings in June 2013. The project is still very interesting for all who participated: other rural areas, other ways of relating to the land, other ways to organize other programs and activities ... Everything learning from the exchange of experiences and points of view from different parts of Europe. Despite having different specificities, share a rural reality! Grundtvig learning to start to draw some conclusions: in April we launched two new programs they want to be long-lasting: the "Creative Friday" and "Let's College." 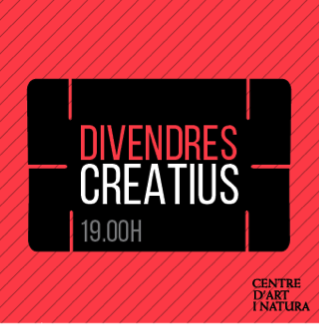 First Friday of the month, will be presented to CAN artists and other creative projects Pallars and the High Pyrenees, with the aim to present new ideas, discuss new projects and cooperate with people who drive them. Friday May 2, at 7am in the afternoon, will present his experience, Tape Ramos illustrator of Lleret! 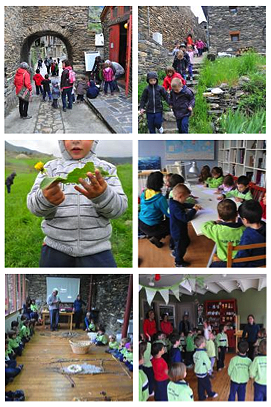 We do School is a new program we bring to the children of the schools of the region's creative experience through a visit to the Art and Nature Center. 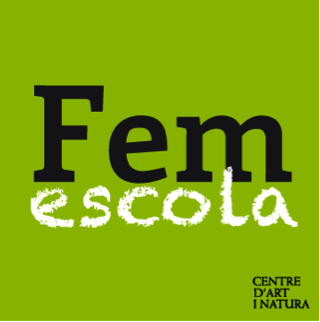 So far there had been only sporadic visits now intend to offer an ongoing program to familiarize yourself with the new generation of contemporary art and CAN Farrera.On April 24, we received the first visit of the Clos d'Esterri School. 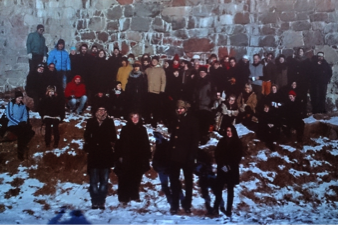 Participants of the meeting starting in late January 2014 to HIAP (Helsinki) with different participating centers and twenty selected artists. Also note that this year we started a new European program:Frontiers in Retreat that will receive 4 years 8 artists held some 16 months of residence to develop art projects related to environmental issues of our mountain territory. Last January saw the start of the project meeting in Helsinki where they presented various organizing centers and artists selected to participate in this project. Catalan artists, Anna Rubio Quelic Yard, have been chosen to participate along with twenty artists from various countries.This April has made the first visit by the French artist, Joan Simon-Perret, and presented the work done This past Tuesday, 29. Another year comes poetry outdoors! 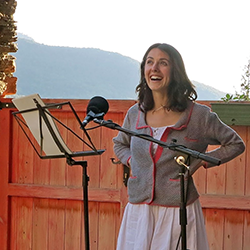 Poetry recital and walk, as is traditional, with new guest poets: Fabregas and Pedro Rosa Pena, Lleida and Gaylord Brewer, U.S., making visit to the CAN (Saturday, June 14, at 19pm). Sunday, June 15, at 12 am at the Christian walk are incorporated Risgaard violinist and dancer Anna Rubio! Are about to be called scholarships to CAN 2014. This year, in addition to the traditional Creation and Research (projects related to the mountain environment, for residents in the Catalan Countries, and one month dates), the novelty is that, in conjunction with space-Nature Dance Burg, announces a new scholarship is aimed at projects Movement Arts! The festival-gathering Sao (arts and nature in the High Pyrenees) is hatched! This year we hope to continue to allow the initial push last year with new ideas towards the autumn. We are finishing the programming courses and I can already repeat the course Print international landscape and spontaneity with Danielle Creenaune (30-4-J Jl); of the evolution of the landscape with Gramps UAB (14 to 18-Jl); and of traditional and digital illustration of nature with Carlos Puche (21 to 26-Jl). About to open registration!